Christmas is done. Now on to the next hyped-up holiday: New Year’s Eve! Since crowds and huge bar tabs soo aren’t my thing, I decided to throw my own sweet, little shindig this year. But the twist here is that this one will be low-key. No fancy dress-up. No djs. No crazy house party crowds. Just a girl and 20 to 30 or so of her best pallies. In any case, I started thinking about what to serve my peeps, other than plain bubbly. Fortunately I was able to score a couple of liquor sponsors, get a recipe from a renowned mixologist and came up with an inspired, chill way to toast the new year. Here’s my drink list for the last day of 2009. Wait, is this too much booze? So I’m doubly indebted to Pinky Vodka. Not only did they sponsor our blogger prom this year but they sent me a couple of huuuge bottles for my intimate New Year’s Eve shindig. So yes, I will gladly shill for them. But, I can also do that without fear of tarnishing my rep as an appreciator of fine cocktails. See, Pinky may be pink but it’s not going for any gimmicky, clubby angle. Their vodka is only pink because it’s blended with 12 botanicals, most notably strawberries, rose petals and violets. So it’s flavored naturally and not by sweeteners and such. PLUS, it’s hand-blended by master wine tasters. They also hired one of my fave cocktail consultants, and friend, Natalie Bovis-Nelsen aka The Liquid Muse, to design cocktail recipes for their vodka so I know it’s class all the way. Her newest is a champagne cocktail that’s perfect for toasting the new year. Shake all ingredients, except for sparkling wine, over ice. Strain into a champagne flute and top with sparkling wine. Garnish with a lemon twist. Mixology maestro Vincenzo Marianella of Copa d’Oro was good enough to provide me with a whisky punch recipe that’s sure to please the crowd. Incidentally, it also just debuted at the Santa Monica bar. Add first six ingredients with full scoop of ice in the punch bowl. Stir gently while adding Prosecco, add more ice. Garnish with sliced pear and citrus. Funny thing is that I was able to get a second booze sponsor! And all without any begging. Sandeman had originally approached me about checking out their Tawny Port (which would have been perfect during my dessert exchange earlier this month) but when I said I was interested in making cocktails, they shipped the Founders Reserve over along with a couple of recipes. The Sandeman’s Sparkly is basically a Lady MacBeth, a blood-red champagne cocktail that was once served at the Edison. And the Diavlo with it’s use of tequila and my fave ginger beer sounds intriguing. But the piece de resistance for my chillaxing New Year’s Eve party will be our clinking cans instead of schmancy champagne glass flutes come midnight. 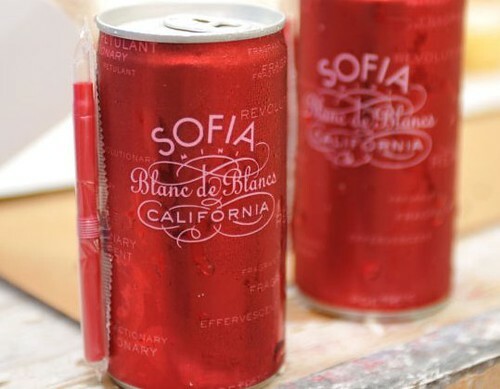 Niebaum-Coppola Winery, owned by director Francis Ford Coppola, makes Sofia blanc de blancs sparkling white in cute little pink cans complete with tiny sippy straws. Apparently it’s most popular in clubs and swanky pools, where glass is most def not allowed. You can get a four-pack (187ml a can) at the Wine House in West LA for $12.99 and $11.99 at BevMo. These are also really handy for picnics and celebrations on the go when you don’t want to deal with lugging glassware. If you feel you really must get out to celebrate the new decade, you crazy bastards, here are some links of NYE event roundups, including dinners, bar events and clubs, for your consideration. I’ve never tried Pinky vodka because I thought it would be SUGARY SWEET (which I hate). I’ll definitely grab a bottle TODAY. Thanks! Actually I have a little taster bottle if you want to give it a try. Let me know. The champagne in a can is surprisingly pretty cute! I might have to give it a try. Have a great party! I may or may not have had Sofia in a can while in my cubicle at work, passing it off as energy drink. Yeah, you are. Even I don’t drink vodka straight up. Thanks! I admit, its cuteness is what got me at first. I’m just glad it tastes pretty good, too. Hmm, good idea. I might have to clear some drawer space. Here’s to 2010! Cheers! Especially to that champagne in a can! Got to love Sofia, champagne in a can?! So great. 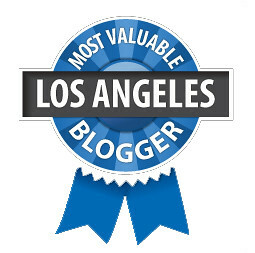 Happy New Year, thanks for the great blog! Oooh, those port drinks sound good! I’ve not been a fan of port on its own, but I liked it in a sangria I found online, and then also the ones you list sound great too! Love sofia!! 😀 Hope your party was fabulous! Glad we were able to help! Hope you liked the Sparkling Pear recipe. Natalie’s recipes are failproof. And champagne in a can is awesome. I had an awesome time at your NYE party. Thanks for inviting! I recently had the canned champagne at Slappy Jacks in Portland and it was sooo tasty. Definitely going to opt for it when I am lugging picnic foods to Hollywood Cemetary for movie night!